Did your trip to Maderia Beach result in an unwanted DUI arrest? Let the quality dui attorneys of Finebloom, Haenel & Higgins assist you. Our superior dui attorneys in Maderia Beach are ready and able to guide you through your options. Will my dui lawyer explain every option and let me choose my course of action or will he or she tell me what I am going to do? Will my dui lawyer represent me at administrative hearings? Is my dui lawyer willing to file motions? Does my dui lawyer have experience in filing these motions? Will the dui lawyer take my case to trial? Has my dui lawyer ever been to trial on a dui charge? If the Maderia Beach dui lawyer you consult says no to any of these questions, or if the Maderia Beach dui attorney you consult is not explaining your options and demanding you take a plea, you need to move on. The dui lawyer in Maderia Beach that you hire should assist you in deciding the best way to handle your case and then help you take that action. For your first offense, you may face a license suspension from six months to one year. There is a mandatory requirement of at least 50 community service hours. It is possible to receive six months in jail (up to 9 months if you blew over a .15) and fines of at least $500. As a first time offender, you may be able to avoid jail time or have criminal charges dropped with the assistance of a dui attorney. If you have already been convicted of one dui, and have picked up a 2nd, 3rd or even 4th dui charge the penalties are even more severe and the options can be limited. The dui attorneys Maderia Beach residents or arrestees have available to choose from need to be well versed in dui laws in order to properly discuss the options are available to a subsequent offender. In many cases there is a mandatory jail sentence that must be imposed and the dui attorney you hire needs to be experienced if you are to successfully challenge your case and avoid this penalty. In order to fully understand every option and possible outcome available to you call the law office of Finebloom, Haenel & Higgins today. Our attorneys are experienced and dedicated. 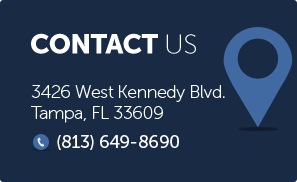 We are available 24/7 for consultation by calling 813-200-4412. Call us now and let us fight your case today!